You know, I live in a home of guys. It used to be there were more girls than guys. The tide has totally turned! My oldest son is finally caring about his clothes and how he looks. Reminds me of my girls once they got into high school. 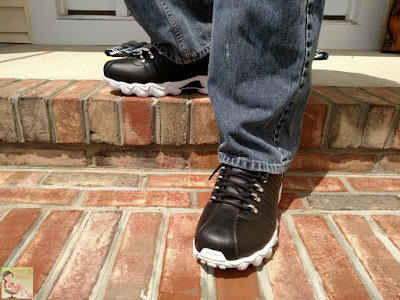 Now, this post is about a pair of Lugz shoes he chose for a review that are perfect for Father's Day, but my son's wearing them because he was the next guy in the family that needed a new pair of shoes. If you'll remember, I did a review on the Zrocs, and have loved wearing them since I got them. Now my son has his first pair! It was actually good timing because the shoes he's been wearing this school year were reaching their last leg, which we didn't know. Let's just say they've now become his "dirty work" shoes. His new Fortitudes are what he wears every single day. 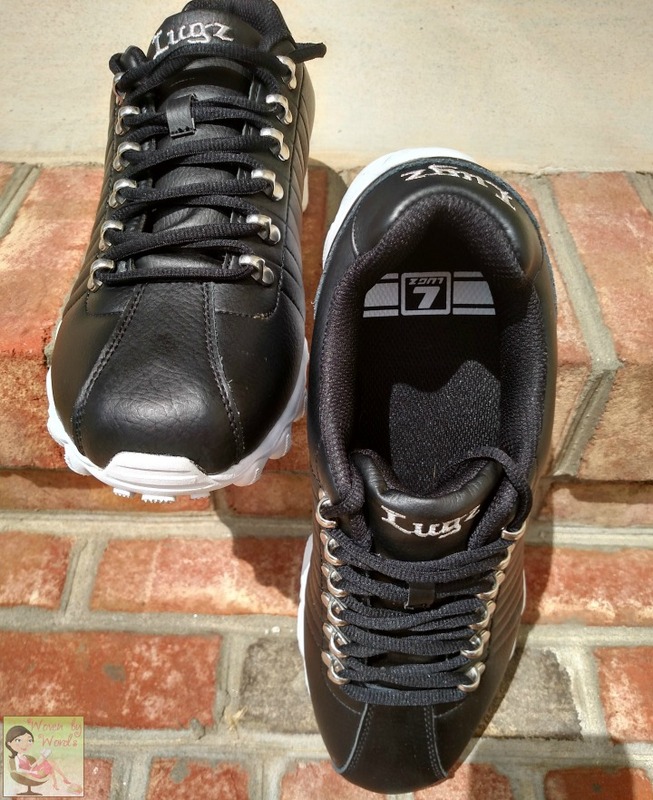 Lugz has shoes for every guy in your life for every outfit or situation. I was looking through the men's shoes because he needs some sprucing up in the shoe department as well! I've got a lot of training to do in my house when it comes to guys in my house. We all have our burden to bear, but this one is one I'll gladly take on. What about the guy in your life? Men these days have so many options of styles, and with Lugz those styles are covered. If you're looking for a signature style, these are the way to go. Whether they're looking for a pair of shoes to go out for the evening, wearing them to work, or out running around. I think he really likes the cushioned insole. He's on his feet all day, and he definitely likes his comfort. Not only that, but he really likes the design of it. Is it possible for a young man to have more confidence walking around because of his shoes? I think in this case, it's an easy "yes." If the guy in your life is looking for style and comfort, these are the way to go! Be sure to follow them on their social channels: Facebook, Instagram, Twitter, and Pinterest. For real, you'll be surprised at all of the people who are wearing this brand! I've got 5 special guys in my life! My husband, my 2 sons and 2 awesome grandsons. I'm always on the lookout for good shoes that will wear well with teenagers and for my son in the construction yards. 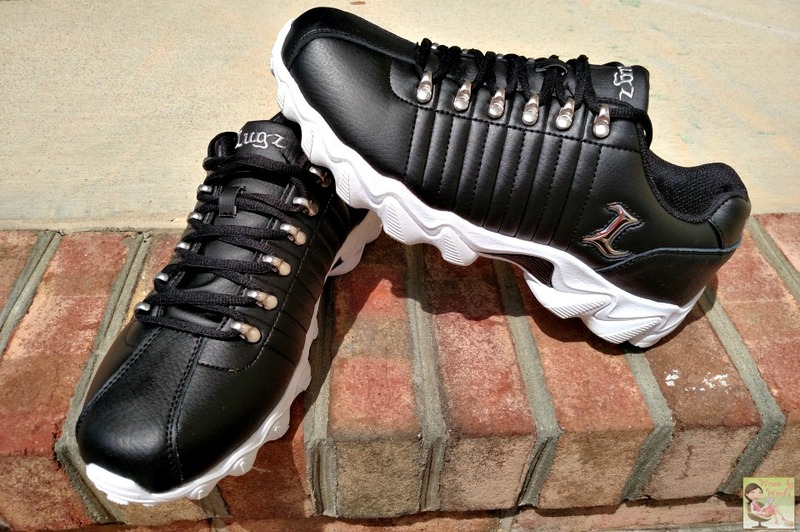 Lugz look to be the answer! Thanks so much!! I have never owned Lugz, but I hear they last forever, and are very comfortable to wear. Maybe I'll grab the man in my life a pair for Father's Day! I think your son chose I great pair of sneakers. 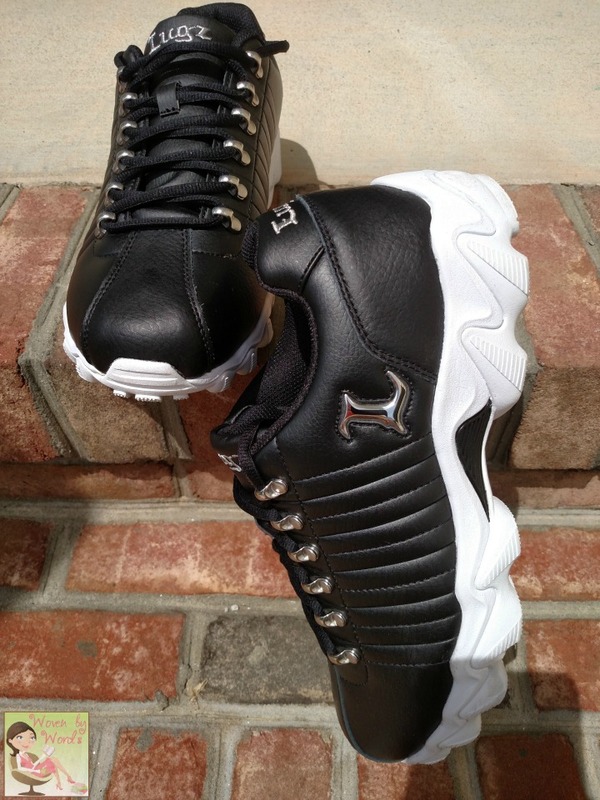 I love the stylish look of the Lugz Fortitude sneaker. It would be a great gift idea for my stepson. I have always wanted to get a pair of these for my hubby and for me. They look comfortable and they look like shoes you can wear every day so they're practical. Those are really stylish! My husband has quite a few pairs of Lugz too. Great shoes! I know that my son would love them too! Those are great looking shoes!! They are not only good looking but look like they provide great comfort and support, nice choice!! 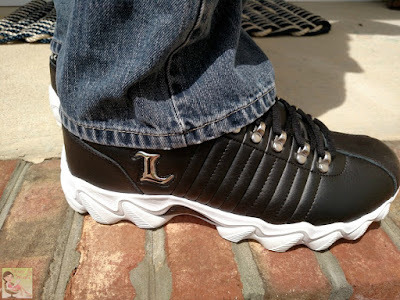 My husband had some Lugz a while back and loved them! I love how they are very versatile. Lugz have been around since I was in high school and they still look great. My husband even has a pair of their boots. Those are some nice shoes. I love the Lugz brand! I have a few pairs of their items. They're so comfy too. These are great looking shoes! I didn't realize that Lugz had so many different styles of shoes like this..
My nephew would love these!! Thanks for sharing these awesome shoes! I'll have to get them for his birthday! I absolutely love the Strider Chambray. I know my husband would totally appreciate them! My hubby would definitely love a pair of these! I think he would really like the Brigade Fleece. They are nice looking shoes! Those look great! I think my husband and son would look good in a pair of them! I love their boots! I didn't know they made gym shoes. I think Sinisa would like those. My Son would love these shoes. I will have to show this to him. He has a birthday coming up soon. Those Lugs look like just my youngest son's style. He's an Eagle Scout and loves camping and hiking and those look really rugged. I think my son would love these. He always is looking for ways to add a little height without being obvious. Lugz would enable him to do that. There are so many styles I know my husband would love. I would also like to get my 2 young grandsons some boots as well. Great line! Lugz are really sturdy and look good. I showed my son this giveaway to make sure he liked the sneakers before I entered. He loved the look of them. With your sons great review on the comfort, I think these sneakers rock! Lugz does have very well made shoes and boots. My husband does have one pair and he really likes them. I've never owned Lugz but i've heard a lot about them and these look like they're stylish but also usable in so many circumstances. These shoes look like that have wonderful support. I love the style and my husband and son would have to toss a coin to see who gets them if we won. Very sleek shoes. My oldest son would enjoy these as its his style.. Thank you for sharing!! My hubby would love those! They are very stylish. He is a shoe lover that's for sure. 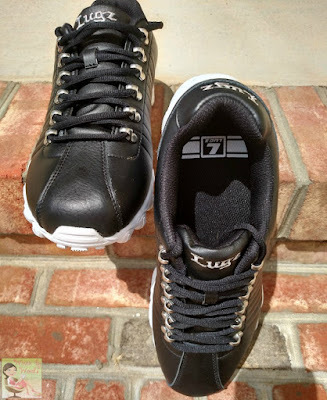 I love the review on these Lugz shoes. The Strider Chambray in the dark grey color looks extremely excruciating.